For years I wondered why I was fat. I lost weight, gained it back, and lost it again – over and over and over. I owned suits in every size. As a former commissioner of the FDA (the US Food and Drug Administration), surely I should have the answer to my problems. Yet food held remarkable sway over my behaviour. The latest science seemed to suggest being overweight was my destiny. I was fat because my body’s “thermostat” was set high. If I lost weight, my body would try to get it back, slowing down my metabolism till I returned to my predetermined set point. But this theory didn’t explain why so many people, in the US and UK in particular, were getting significantly fatter. For thousands of years, human body weight had stayed remarkably stable. Millions of calories passed through our bodies, yet with rare exceptions our weight neither rose nor fell. A perfect biological system seemed to be at work. Then, in the 80s, something changed. 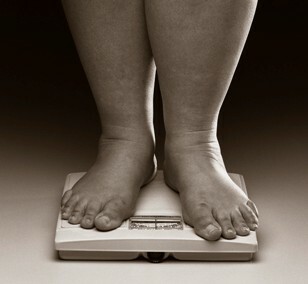 Three decades ago, fewer than one Briton in 10 was obese. One in four is today. It is projected that by 2050, Britain could be a “mainly obese society”. Similar, and even more pronounced, changes were taking place in the US, where researchers found that not only were Americans entering their adult years at a significantly higher weight but, while on average everyone was getting heavier, the heaviest people were gaining disproportionately more weight than others. The spread between those at the upper end of the weight curve and those at the lower end was widening. 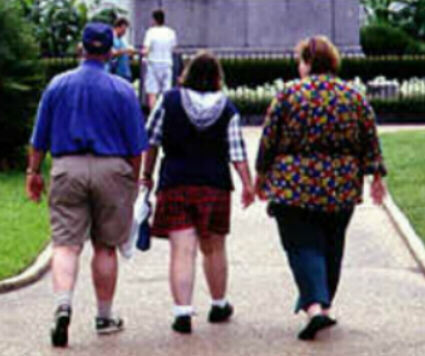 Overweight people were becoming more overweight. What had happened to add so many millions of pounds to so many millions of people? Certainly food had become more readily available, with larger portion sizes, more chain restaurants and a culture that promotes out-of-home eating. But having food available doesn’t mean we have to eat it. What has been driving us to overeat? It is certainly not a want born of fear of food shortages. Nor is it a want rooted in hunger or the love of exceptional food. We know, too, that overeating is not the sole province of those who are overweight. Even people who remain slim often feel embattled by their drive for food. It takes serious restraint to resist an almost overpowering urge to eat. Yet many, including doctors and healthcare professionals, still think that weight gainers merely lack willpower, or perhaps self-esteem. Few have recognised the distinctive pattern of overeating that has become widespread in the population. No one has seen loss of control as its most defining characteristic. “Higher sugar, fat and salt make you want to eat more.” I had read this in scientific literature, and heard it in conversations with neuroscientists and psychologists. But here was a leading food designer, a Henry Ford of mass-produced food, revealing how his industry operates. To protect his business, he did not want to be identified, but he was remarkably candid, explaining how the food industry creates dishes to hit what he called the “three points of the compass”. The ultra-high levels of fat make food easier to chew, whereby faster bypasses normal feelings of satiation. People addicted to the such foods tend to gorge. Sugar, fat and salt make a food compelling. They stimulate neurons, cells that trigger the brain’s reward system and release dopamine, a chemical that motivates our behaviour and makes us want to eat more. Many of us have what’s called a “bliss point”, at which we get the greatest pleasure from sugar, fat or salt. Combined in the right way, they make a product indulgent, high in “hedonic value”. During the past two decades, there has been an explosion in our ability to access and afford what scientists call highly “palatable” foods. By palatability, they don’t just mean it tastes good: they are referring primarily to its capacity to stimulate the appetite. Restaurants sit at the epicentre of this explosion, along with an ever-expanding range of dishes that hit these three compass points. Sugar, fat and salt are either loaded into a core ingredient (such as meat, vegetables, potato or bread), layered on top of it, or both. Deep-fried tortilla chips are an example of loading – the fat is contained in the chip itself. When it is smothered in cheese, sour cream and sauce, that’s layering. It is not just that fast food chains serve food with more fat, sugar and salt, or that intensive processing virtually eliminates our need to chew before swallowing, or that snacks are now available at any time. It is the combination of all that, and more. Combined in the right way, sugar, fat and salt act like a drug. They stimulate neurons, cells that trigger the brain’s reward system and release dopamine, a chemical that makes us want to eat more. Take Kentucky Fried Chicken. My source called it “a premier example” of putting more fat on our plate. KFC’s approach to battering its food results in “an optimised fat pick-up system”. With its flour, salt, MSG, maltodextrin, sugar, corn syrup and spice, the fried coating imparts flavour that touches on all three points of the compass while giving the consumer the perception of a bargain – a big plate of food at a good price. 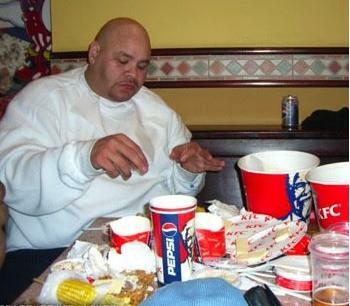 Initially, KFC meals were built around a whole chicken, with a pick-up surface that contained “an enormous amount of breading, crispiness and brownness on the surface. That makes the chicken look like more and gives it this wonderful oily flavour.” Over time, the company began to realise there was less meat in a chicken nugget compared with a whole chicken, and a greater percentage of fried batter. But the real breakthrough was popcorn chicken. “The smaller the piece of meat, the greater the percentage of fat pick-up,” said the food designer. “Now, we have lots of pieces of a cheaper part of the chicken.” The product has been “optimised on every dimension”, with the fat, sugar and salt combining with the perception of good value virtually to guarantee consumer appeal. The original Whopper was already explosively rich in fat, sugar and salt, even before the addition of more beef, extra cheese, fried onion rings, and a layer of bacon. Perhaps they should change the name to “The Heart Stopper”. He walked me through some offerings at other popular food chains. Burger King’s Whopper touched on the three points of the compass – then was altered for further effect. In its first, stripped-down form, the burger was explosively rich in fat, sugar and salt. Then the chain began adding more beef, extra cheese or a layer of bacon. 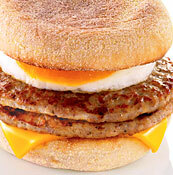 A McDonald’s Double Sausage McMuffin contains 575 calories, which is 28% of the RDV. The popular sandwich also contains 36 grams of fat- a whopping 55% of the RDV! This kind of food disappears down our throats so quickly after the first bite that it readily overrides the body’s signals that should tell us, “I’m full.” The food designer offered coleslaw as an example. When its ingredients are chopped roughly, it requires time and energy to chew. But when cabbage and carrots are softened in a high-fat dressing, coleslaw ceases to be “something with a lot of innate ability to satisfy”. This isn’t to say that the food industry wants us to stop chewing altogether. It knows we want to eat a doughnut, not drink it. “The key is to create foods with just enough chew – but not too much. When you’re eating these things, you’ve had 500, 600, 800, 900 calories before you know it.” Foods that slip down don’t leave us with a sense of being well fed. In making food disappear so swiftly, fat and sugar only leave us wanting more. 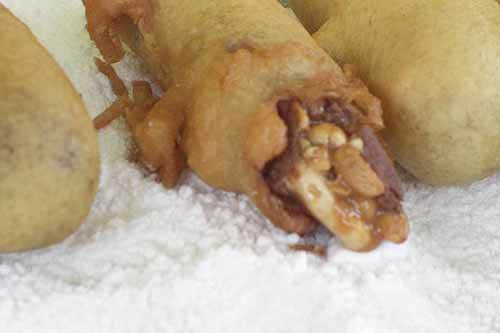 A deep fried Snickers bar, another popular American treat. Kettle chips are another success story. Made of sugar-rich russet potatoes, they have a slightly bitter background note and brown irregularly, which gives them a complex flavour. High levels of fat generate easy mouth-melt, and surface variations add a level of interest beyond that found in mass-produced chips. Heightened complexity is the key to modern food design. Not so many decades ago, a single flavour of ice-cream was a special treat. Our options ran to vanilla, chocolate and strawberry – and when we could buy all three in a single carton, we saw that as a great innovation. Now ice-cream has countless flavours and varieties; it comes mixed with M&M’s or topped with caramel sauce. The complexity of the stimulus increases its association to a reward. Elements of that complexity include tastes that are familiar and well liked, and the learning associated with having had a pleasurable experience with the same food in the past. When layers of complexity are built into food, the effect becomes more powerful. Sweetness alone does not account for the full impact of a fizzy drink – its temperature and tingle, resulting from the stimulation of the trigeminal nerve by carbonation and acid, are essential contributors as well. “The complexity of the stimulus increases its association to a reward,” saysGaetano Di Chiara, an expert in neuroscience and pharmacology at the University of Cagliari in Italy. Elements of that complexity include tastes that are familiar and well liked, especially if not always readily available, and the learning associated with having had a pleasurable experience with the same food in the past. Take a bowl of M&M’s. If I’ve eaten them in the past, I’m stimulated by the sight of them, because I know they’ll be rewarding. I eat one, and experience that reward. The visual cue gains power and stimulates the urge we call “wanting”. The more potent and complex foods become, the greater the rewards they may offer. The excitement in the brain increases our desire for further stimulation. In theory there’s a limit to how much stimulation rewarding foods can generate. We are supposed to habituate – to neuroadapt. When Di Chiara gave animals a cheesy snack called Fonzies, the levels of dopamine in their brains increased. Over time, habituation set in, dopamine levels fell and the food lost its capacity to activate their behaviour. But if the stimulus is powerful enough, novel enough or administered intermittently enough, the brain may not curb its dopamine response. Desire remains high. We see this with cocaine use, which does not result in habituation. Hyperpalatable foods alter the landscape of the brain in much the same way. I asked Di Chiara to study what happens after an animal is repeatedly exposed to a high-sugar, high-fat chocolate drink. When he’d completed his experiment, he sent me an email with “Important results!!! !” in the subject line. He had shown that dopamine response did not diminish over time with the chocolate drink. There was no habituation. Novelty also impedes habituation, and intermittency is another driver. Give an animal enough sugar-laden food, withdraw it for the right amount of time, then provide it again in sufficient quantities, and dopamine levels may not diminish. “The industry has jacked up what works for it. The learning is evolutionary. There’s still a lot we don’t know about the relationship between the dopamine-driven motivational system and our behaviour in the presence of rewarding foods. 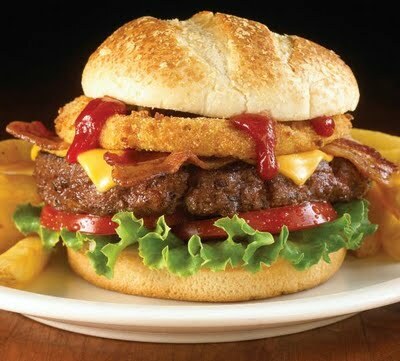 But we do know that foods high in sugar, fat and salt are altering the biological circuitry of our brains. We have scientific techniques that demonstrate how these foods – and the cues associated with them – change the connections between the neural circuits and their response patterns. Rewarding foods are rewiring our brains. As they do, we become more sensitive to the cues that lead us to anticipate the reward. In that circularity lies a trap: we can no longer control our responses to highly palatable foods because our brains have been changed by the foods we eat. I wanted to know how much the industry understood about how the food we eat affects us; about what I have termed “conditioned hypereating” – “conditioned” because it becomes an automatic response to widely available food, “hyper” because the eating is excessive and hard to control. I turned to Joseph Stiglitz, a Nobel laureate in economics. “Does the industry know that what it feeds us gets us to eat more?” I asked. “The industry has jacked up what works for it,” Stiglitz said. “The learning is evolutionary.” Practical experience has been its guide – it does not need lab rats when it can try out its ideas on humans. Its decision-makers do not have to analyse human brain circuitry to discover what sells. This tasty treat contains 18 tablespoons of sugar- and that’s for the smaller sized serving. But it was thinking creatively about how to attract more consumers that led Starbucks to the Frappuccino, the venture capitalist told me. Although its stores were crowded early in the day, by afternoon “they were so empty you could roll a bowling ball through them”. The creation of a rich, sweet and comforting milkshake-like concoction utterly transformed the business. 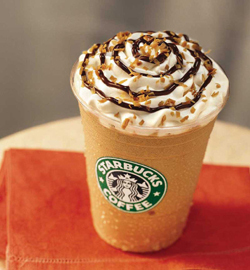 A Starbucks Strawberries & Crème Frappuccino comes with whipped cream and 18 teaspoons of sugar: all in all, this “drink” contains more calories than a personal-size pepperoni pizza, and more sweetness than six scoops of ice-cream. By encouraging us to consider any occasion for food an opportunity for pleasure and reward, the industry invites us to indulge a lot more often. Of course, when food is offered to us, we’re not obliged to eat it. When it’s on the menu, we don’t have to order it. But this takes more than willpower. As an individual, you can practise eating the food you want in a controlled way. As a society, we can identify the forces that drive overeating and find ways to diminish their power. That’s what happened with the tobacco industry: attitudes to smoking shifted. Similar changes could be brought about in our attitudes to food – by making it mandatory for restaurants to list calorie counts on their menus; by clear labelling on food products; by monitoring food marketing. But until then few of us are immune to the ubiquitous presence of food, the incessant marketing and the cultural assumption that it’s acceptable to eat anywhere, at any time. This is an edited extract from The End Of Overeating: Taking Control Of Our Insatiable Appetite, by David A Kessler, published by Penguin on 1 April at £9.99. To order a copy with free UK p&p, go to guardian.co.uk/bookshop.